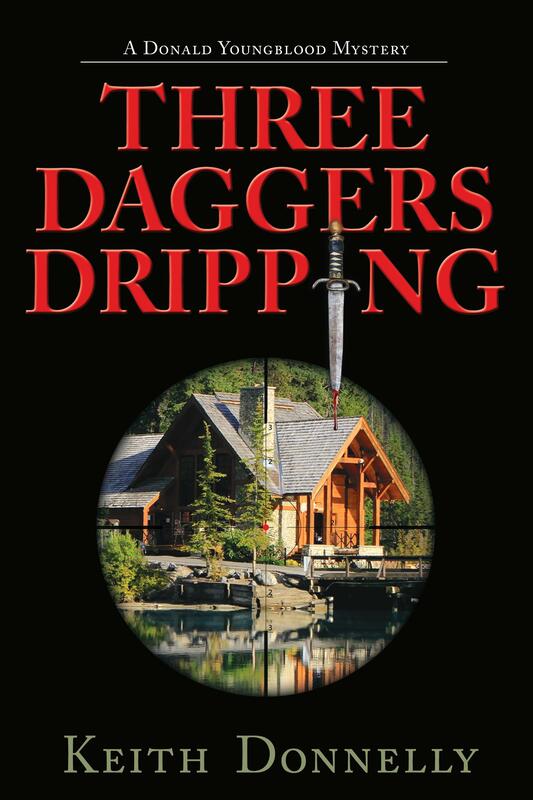 Dolly’s welcomes back Keith Donnelly, author of the Donald Youngblood mystery series: Three Deuces Down, Three Days Dead, Three Devils Dancing, Three Deadly Drops, Three Dragons Doomed and Three Daggers Dripping. Donnelly will be joining us at Dolly’s, Saturday, March 18, 2017 at 2:00 PM. About the book: Eight years ago, Sheila Buckworth’s ten-year-old son, Michael, disappeared with another young boy. The authorities classified them as runaways—no ransom note, no reason to believe they were abducted. Now, Sheila thinks she knows what happened to Michael and wants Donald Youngblood to prove it.The case soon intersects with an FBI terrorist investigation when Youngblood and sheriff’s deputy Billy Two-Feathers find themselves in the desert of southwest Arizona on the Tohono O’Odham Indian Reservation uncovering a sinister plot to inflict damage on the U.S. government. Racing against time to discover the lair of the terrorist group known as the Midnight Riders, Youngblood and the FBI must thwart the plan before the group can execute its “big event.”Meanwhile, Youngblood’s adopted daughter, Lacy, asks him to investigate the death of a classmate. Clay Carr, a local all-state football player, has crashed his car and killed his girlfriend. As Clay remains in a coma, Youngblood learns the crash was no accident. Working with his police-detective wife, Mary, he travels through a maze of dead ends trying to find the person responsible.Juggling two cases is nothing new for Donald Youngblood, who once again proves he is up to the task. For more information visit Donnelly’s website here. Be the first to comment on "Author Event: Keith Donnelly – Donald Youngblood Mysteries | 3.18.17"